Darby Smart is a monthly subscription box made by the Darby Smart site. Every month, they send along supplies for a fun new craft. Deal – For a limited time, use coupon code YAY to get your first Darby Smart box for only $9! FLASH SALE: Use this link to get your first box for FREE! 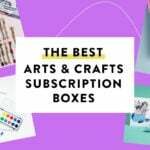 The Products: Each box has supplies for a cute craft, plus inspiring photos of the finished product and a link to the instructions. This month’s theme is Wanderlust! And Darby Smart includes a link to tutorials, videos, and inspiration for your project! Marker Set – Value $3? What do you think of the December Darby Smart box? Signed daughter up and she got a horse head with tape and no instructions on what to do. Came in an envelope not even a cute box. Already highly disappointed and aggravated. I canceled my sibscription after this box (and the disappointment of last month). This is just too narrow of an idea. What would my teen color? They show the suggestion of marking places you have been. She has never left the US so it would be hard to mark all her adventures in the small USA area. Even if she just colored it in for fun what would she do with it? I signed up this past month and I got a woodburning kit instead. Just a heads up for anyone else. I got the wood burning kit also, I am very excited!! I got the woodburning kit too. I’m looking forward to it! I got a wood burner kit too, not happy. Every subscription box I ever joined even if it was a “free joiner” box I received the offer for that month like a regular member would. And if the wood burner kit was curated for new members to entice them to join, Darby smart should have gave out a higher quality project. 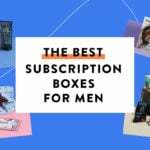 I feel jipt and will not be keeping my subscription box. If I signed up now for the free box, would I get this one? Your first box would be the January box if you sign up with the $10 discount. If you sign up with the free box offer, your first box will be a box from past box options. Hope that helps!